As a member of Purex insiders I get to test and try new Purex products. The ScentSplash is available in many scents. 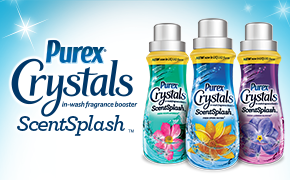 Purex® Crystals ScentSplash™ is the next evolution in laundry in-wash fragrance boosters. Contains refreshing scent beads that release bursts of fragrance to infuse your clothes with irresistible freshness that lasts! New formula is convenient and versatile enough to be used directly in the washer or in-wash tray, and is safe for all wash fabrics. 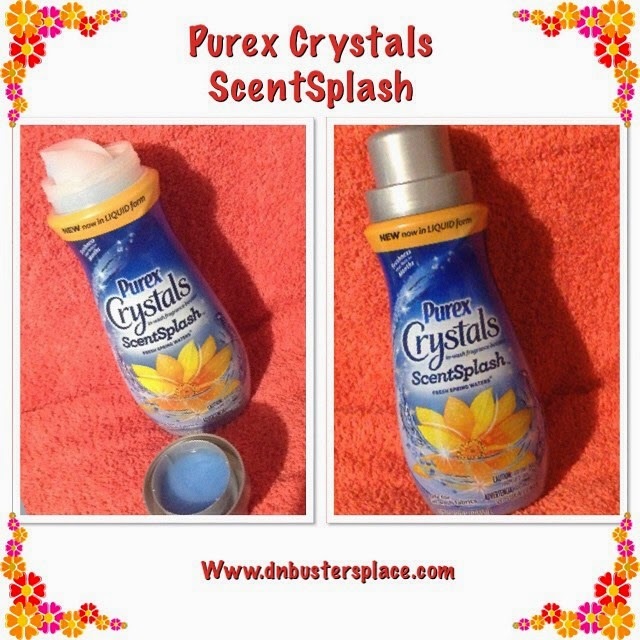 I really like the Purex Crystals ScentSplash! Its really to use just poor into the cap and add to the washer. It makes my towels and blankets so soft and smell so good! Purex also has some great giveaways at this time!